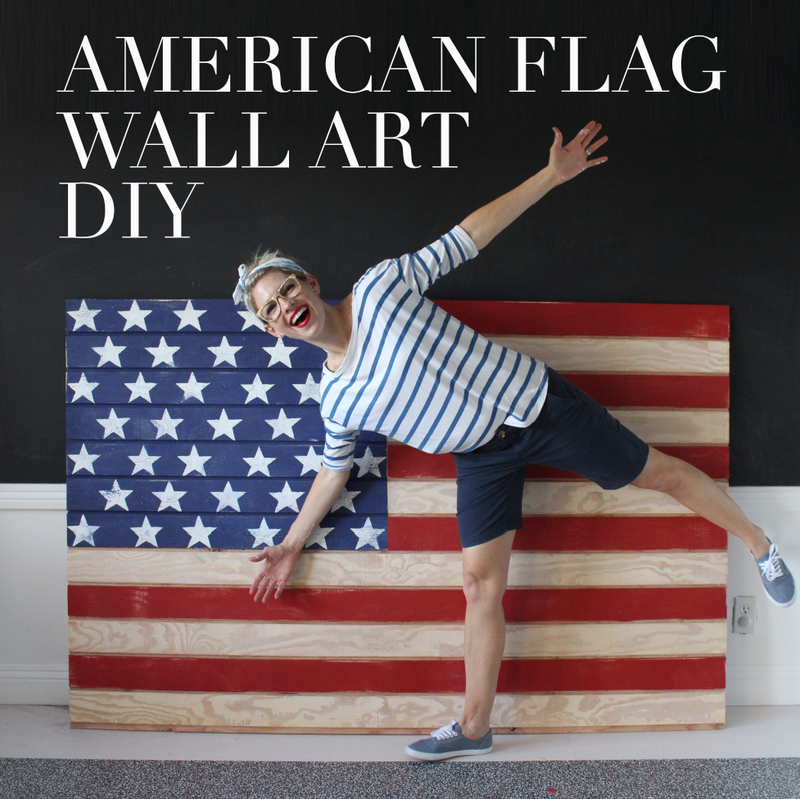 I have been dreaming of this enormous American Flag Art for my wall, and I’ve finally made that dream a reality! Of course It’s perfect for the Fourth of July, but I love it so much that I think I might keep it up all year! Not to mention the flag is so hip right now! Quality large scale art is hard to come by with out forking out some serious dough, if you are lacking in that dough, you make your own, like me. All you need is a huge piece of wood, some paint and a few hours and you can make one of your very own too! It’s easy, rather affordable and super awesome! I love this American Flag! My husband and I just followed your video and made our own! Ours is slightly smaller because originally it wouldn’t fit in our car! 😉 We just have the stars and sanding left and then to the wall it goes! Quick question- How did you hang this? My husband would probably know how, but I figured I’d just see how you did it!